As you know, I've been troublshooting little annoyances after the Fall Creator's Update. I found another one. Apparently the update turned off location services for Cortana. 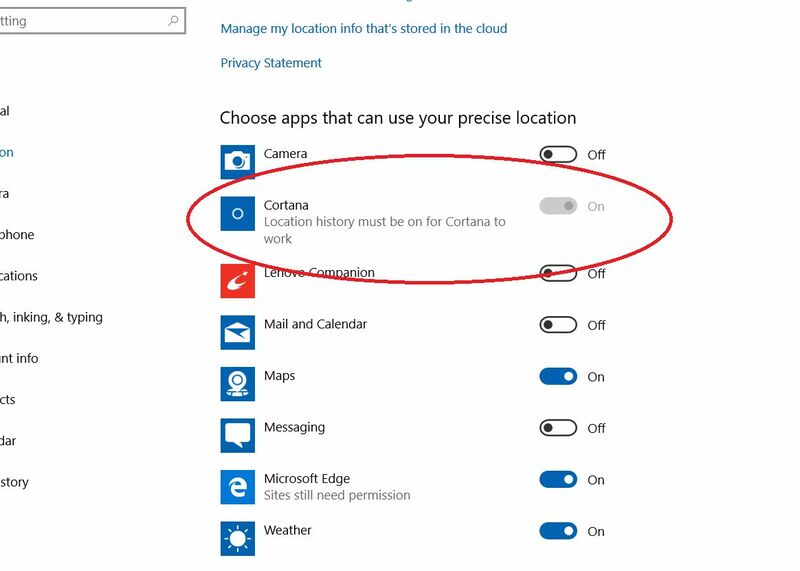 On the web I found a lot of people with the same problem, like "Cortana location services won't turn on", "Cortana location services greyed out", etc. Well? After making sure that the Geolocation services were on, (Press Win+R > type services.msc > Geolocation services), I had a brilliant solution. Why not just ask her to turn it on? I said, "Hey Cortana, where am I?" She replied, "I'll be glad to help you find that location but I'll need your help." Then I was prompted to select either "sure" or "maybe later" in regards to turning on location services. Cortana location service is still greyed out, but it's on.